Beat egg whites in a bowl using an electric mixer until soft peaks form. Beat cream, egg yolks, almond meal, baking powder, and salt together in a separate bowl until smooth and creamy. Fold egg whites into cream mixture until batter is just mixed. 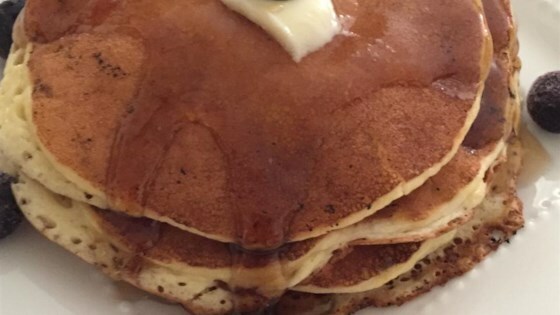 A banana and an egg is all you'll need to make these pancakes!